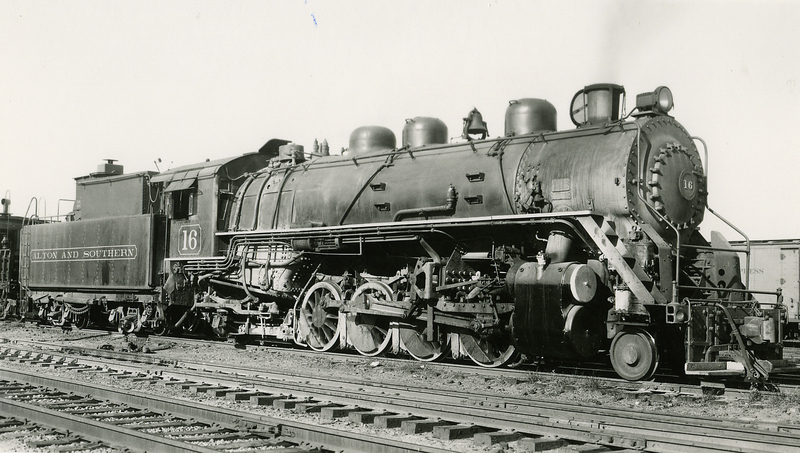 Alton and Southern Railroad #16 Mikado locomotive. One of 7 Mikados that the A&S Railroad had in their stable of locomotives. Eventually, I will get all of this under control and learn how to put buttons up for things like this. And we will be adding additional images from the collection on a regular basis now. So take a minute and enjoy some of these. By the way, for all of our RC and Model customers, we have not forgotten you. We are working on some posts that will have an interest for you.